When troubleshooting, first determine the symp-tom(s) of the failure. After determining the symptom, look over the wiring diagram and determine what assemblies could cause the failure. Could it be caused by the power supply, Regulator/Audio II PCB, or the video display? The next step is to check all harness wires and connectors to the suspected failing assembly. If you find no harness or connector problem, substitute an assembly known to be good for the suspected failing assembly. If the game functions properly, you have successfully isolated the failure. If it doesn't, repeat the procedure with another assembly. When you have isolated the failing assembly, you must troubleshoot that assembly and make the necessary repairs. If the video display is failing, we suggest that a qualified video display technician handle the troubleshooting and repair. If the power supply or Regulator/Audio II PCB is failing, troubleshooting and repair are relatively simple, as these assemblies are not too complicated. If a game PCB is failing, troubleshooting and repair depends on your understanding of the operation of the PCB. To effectively troubleshoot a game PCB, learn as much as you can about the PCB. The diagrams in the Schematic Package (included with the game) show the functions of the circuitry. Again, while troubleshooting the PCB, first determine the symptom of the failure, then locate the suspected area on the schematic diagram. The Schematic Package has signatures printed in red at the proper test-node points for PCB memory devices. For example, to determine if the self-test ROM is functioning properly, perform signature analysis with the ATARI® CAT Box. The Schematic Package, contains a complete description of signature analysis using the CAT Box. 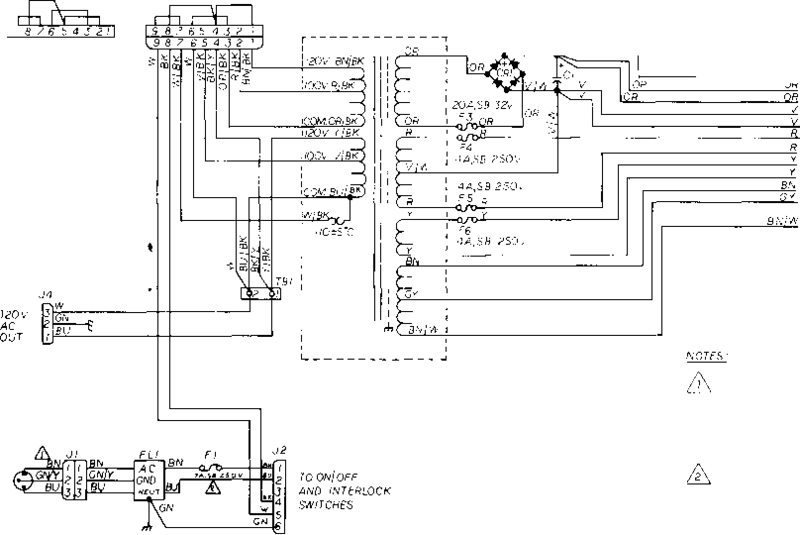 A glossary of schematic signal descriptions is included in the Schematic Package. Each signal description states if the signal is hardware- or software-generated, where it is generated, where it goes, and what it does. We suggest you use this glossary to become more familiar with the operation of the game PCB.